BBQ RESCUES! Foundation's Chef Mick Brown at "I Am BBQ 2018"
Chef Mick Brown makes Vegan BBQ Thanksgiving Dinner for Redfoo of LMFAO. 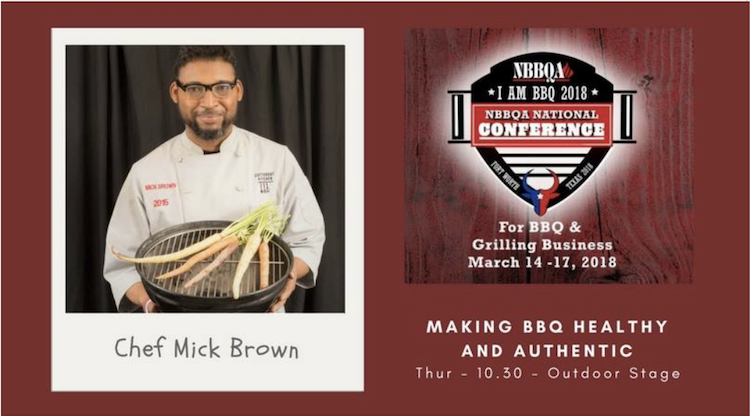 Chef Mick Brown in "Making BBQ Healthy and Authentic at NBBQA "I Am BBQ 2018". 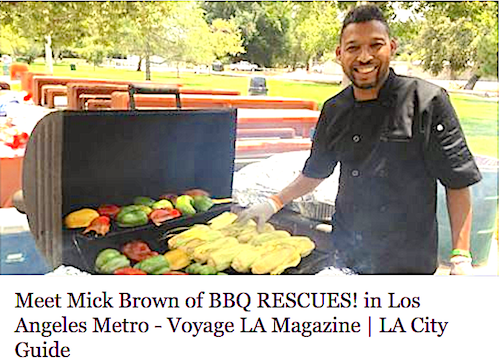 Voyage LA Magazine Interview with Chef Mick Brown. BBQ RESCUES! 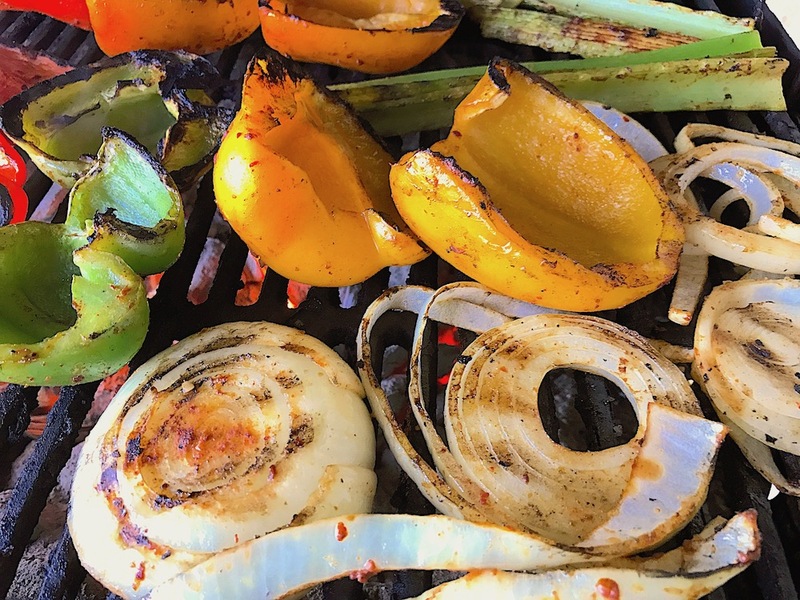 Foundation #BBQProject2020 promotes more BBQ Smoked Veggies. 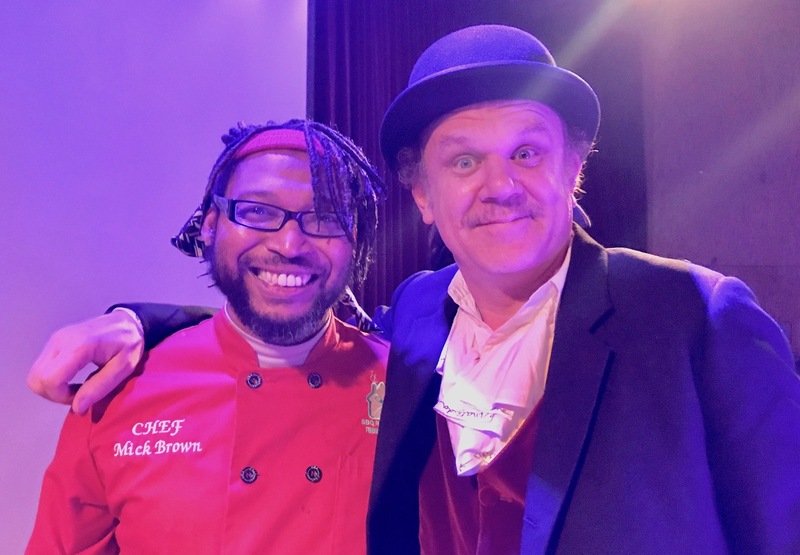 Chef Mick Brown with Actor John C. Riley at Bootleg Theater Benefit in 2018. FORT WORTH, Texas - March 14, 2018 - PRLog -- As part of their newly announced #BBQProject2020, the Nonprofit BBQ RESCUES! Foundation is calling for all Grill Masters to make a little room on their Smokers for Fresh Veggies. Executive Director- Chef Mick Brown- will demonstrate how to prepare dishes that are as delicious as they are nutritious during the Seminar "Making BBQ Healthy and Authentic". It will take place on Thursday, March 15, 2018 at 10:30am at the "I Am BBQ 2018" Conference of the National Barbecue and Grilling Association (NBBQA) at the River Ranch Stockyards in Fort Worth, Texas. Since 1991, the National Barbecue and Grilling Association (NBBQA) has led the way in sharing and expanding the diverse culture of Barbecue through networking and education. This year's "I Am BBQ 2018" Conference, from March 14th-17th, will give people the chance to check out some of the Industry's cutting edge new products, trends and cooking equipment. It will also include a one day BBQ and Grilling Academy on Saturday, March 17th. The nice variety of Educational BBQ Seminars being offered are both Informative and Fun! Tickets are available to NBBQA Members and Public at www.nbbqa.org. The BBQ RESCUES! Foundation, which recently received official IRS 501(c)3 status, does outreach to the Barbecue Community and Restaurants to promote Smarter and Healthier Grilling in the fight against preventable diseases like Childhood Obesity, Diabetes as well as other important Causes. They were last in the Dallas/Fort Worth area September 10th, 2017 to present "Dallas Cares" a BBQ Benefit for Hurricane Harvey Evacuees and the Dallas United Way Harvey Relief Fund. The event was also sponsored by Soulman's Bar-B-Que, Winner's BBQ Cedar Hill, L'Dubyah's Stiq and Stay BBQ Sauce and A Party Solution (Rentals). Chef Mick Brown is best known for winning Grill Master Champion on Food Network's very first "Cutthroat Kitchen" Grilling show (Season 8, Episode 3) called "Grill or Be Grilled". He has also appeared on Bravo TV's "Vanderpump Rules" grilling BBQ at the mansion of Lisa Vanderpump ("Real Housewives of Beverly Hills"). 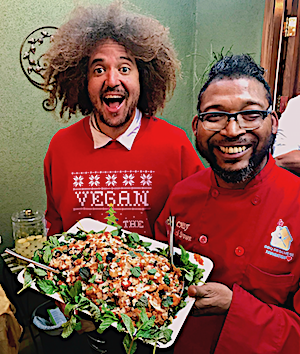 As a Hollywood Caterer and Private Grilling Instructor, he has cooked for celebs like Popstar Rita Ora, Multi-Oscar Nominated Actor John C. Reilly and prepared a Vegan BBQ Thanksgiving for performer Redfoo of LMFAO "Party Rock Anthem" fame. He has also done benefits for the American Cancer Society, the Boy's and Girls Club and spent Christmas Eve 2017 serving fresh Salads with L.A. Mission to the Homeless on Los Angeles' Skid Row. : BBQ RESCUES! Foundation, Inc.